C.'s mother sent us some more pictures. Here is a picture of the low cupboard which has been organized to allow C. to help in preparing a meal or setting the table before dinner. 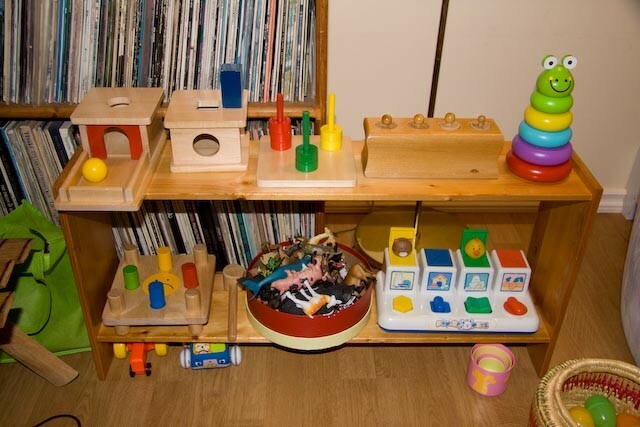 Like all shelves in a child's environment, these are neat and not overcrowded. She can easily access everything she needs. Just like a Montessori teacher, C.'s mother constantly observes her children's environment making changes or replacing broken pieces. 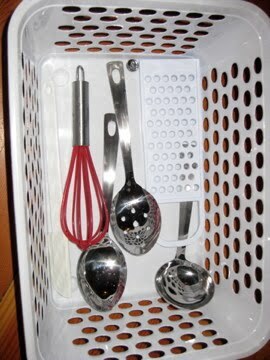 This basket holds everything C. needs when she helps her parents prepare a meal. Again, there is only one of each thing and they are all child size. 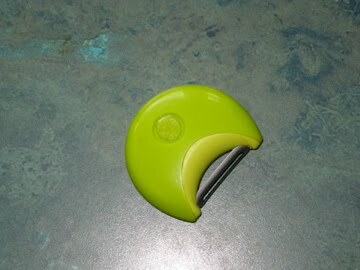 She also found this great little peeler that fits perfectly in C.'s hand when peeling carrots. 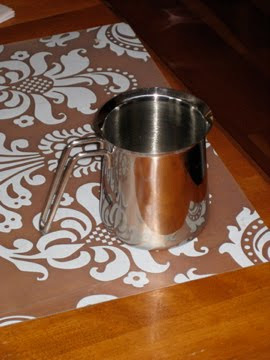 C.'s mother has learned to view the world from her child's skill level and is always on the lookout for child size items that will allow C. to do things for herself. 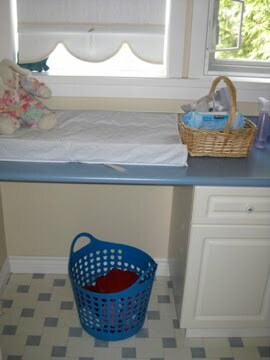 In the bathroom, C.' has a small basket for her dirty clothes. I love that this basket is small enough that she can carry it to the washing machine all by herself. 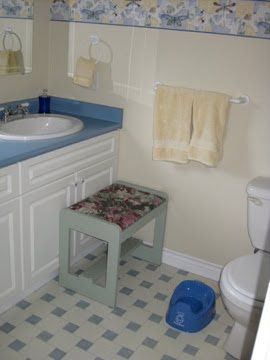 And because most houses don't have bathrooms built for children, C.'s parents have put a sturdy stool in front of the mirror and sink. The little potty is for M. and was placed there before she showed real signs of wanting to get out of diapers. Her mother told me that after it had been there a few days, she found M. sitting on it - without a suggestion or reward being offered.